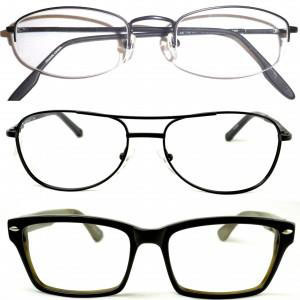 Eyeglasses should complement your color—for example, brown or tortoiseshell frames complement brown eyes or dark hair. The shape of your frames should contrast the shape of your face. The size of your frames should be proportionate with the size of your face. 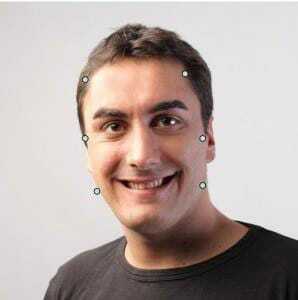 One on the outer edge of either side of the forehead (left and right side). 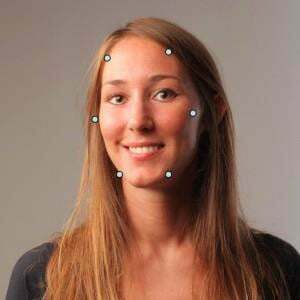 One on the outer edge of either cheekbone, close to your eyes. One on the outer edge of either side of your jaw line, in the vicinity between your mouth and chin. 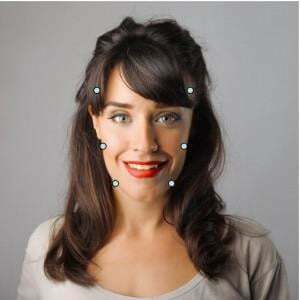 Now, look at the shape created by these dots, this should give you an idea of the basic shape of your face. 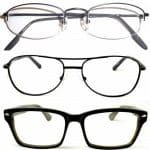 Follow along with this guide to pick the best eyeglasses for you. 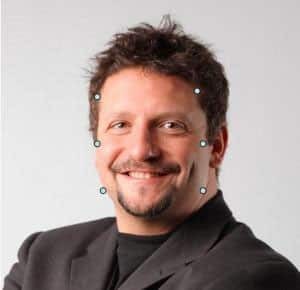 Once you’ve placed the dots along your portrait, you can use them to figure out the shape of your face. 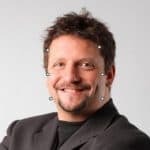 All you have to do is see which dots are farthest apart and which are closest together. If you have been able to determine your own face shape, the tips below can help you figure out which frames will complement your existing features. Otherwise, a Rosin Eyecare optometrist or technician can help you choose a pair that suits you. 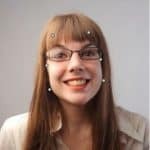 Which Eyeglasses Fit My Face? Once you’ve found the shape of your face, you’re one step closer to finding the perfect pair of eyeglasses. Rosin Eyecare’s simple guide below has the secrets of choosing a flattering pair of frames that complement your look and fit your face beautifully. 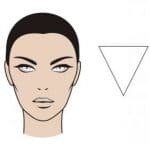 Round faces have virtually no angles, along with a height and width that are about equal. Your eyeglass frames, then, should make the face appear longer and thinner. You can accomplish this with frames that are more angular and narrow from the top to the bottom of the frame and wider from left to right like rectangular or cat-eye frames. Also look for frames that have a higher temple attachment to the frame front. Stay away from round shapes. 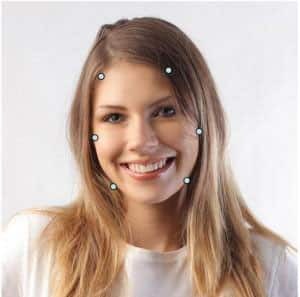 Oval faces are renowned for their proportionate shape. Because of this the Oval face is very versatile when it comes to frame shapes. The best shapes (although most shapes look good on an oval face) are more geometric shapes such as rectangular, square and aviator frames. The use of angles works well or to soften the look add a rounded lower portion of the frame. You’ll want to make sure that widest expanse of the frame is not wider than the widest part of your face which is the cheek bones for most oval faces. Because a triangle-shaped face is broad at the bottom and narrow near the forehead, the best frames add width and draw attention to the top of the face. Conspicuously stylish, accented eyeglasses work best. Look for frames with noticeable color or detailing, like cat-eye, rectangle or even oval shapes. 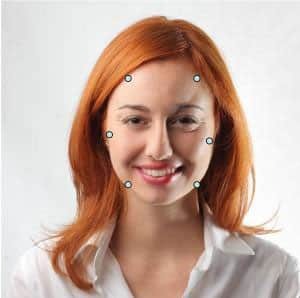 Find frames with a darker upper rim as wide as the lowest, widest portion of your face. 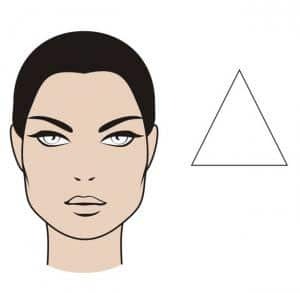 The opposite of a triangle-shaped face, inverse-triangle faces—commonly known as heart-shaped faces—need glasses with the opposite styling. Instead of making your eyeglasses more noticeable, you should do the opposite. Choose light frames, like rimless or wireframe, and choose ones in a light color. 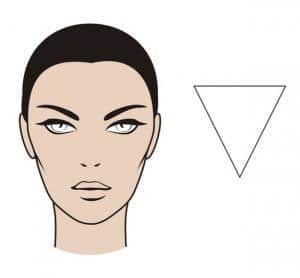 The best shapes to look for are round, square or rounded squares. These frames work best to lengthen the face appearance, de-emphasizing the wider forehead area. 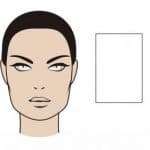 With their even proportions, square faces need glasses that soften their angles and give them a longer more oval appearance. 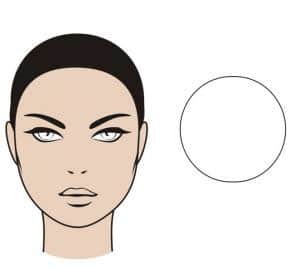 The best shapes for this face are round or oval frames ideally with a darker upper rim and a lighter lower rim. This helps to lengthen the face’s appearance. 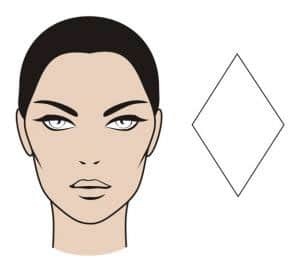 A rare face shape, diamond faces are angular, with pronounced cheekbones, narrow foreheads and narrow jaw lines. 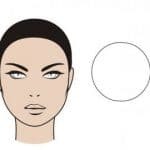 Your eyeglasses should soften these angles and draw attention to your eyes, so choose something with detailing and distinctive lines or a distinctive shape, like cat-eye or oval or rectangle frames. Look for frames with a higher temple attachment to the frame front to help broaden the upper face that narrows with a diamond face. Coloring is also an important consideration; upper rim accents are okay, but stay away from darker lower rim frames. A rectangular face has the same angles as a square one, but a longer appearance. 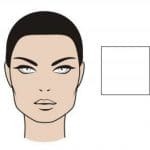 You can bring balance to your face shape with deeper (top to bottom) frames and contrast the face shape by looking for round, or oval or even aviator shapes. You’ll also want to look for frames that have a temple that attaches to the frame front in the middle to lower half of the frame front. Stay away from rectangle frames. Still not sure which eyeglasses are right for you? Come in to any of our Chicago area optometrist’s offices for a fitting with one of our trained stylists, and we’ll help you select the perfect frames for your face.